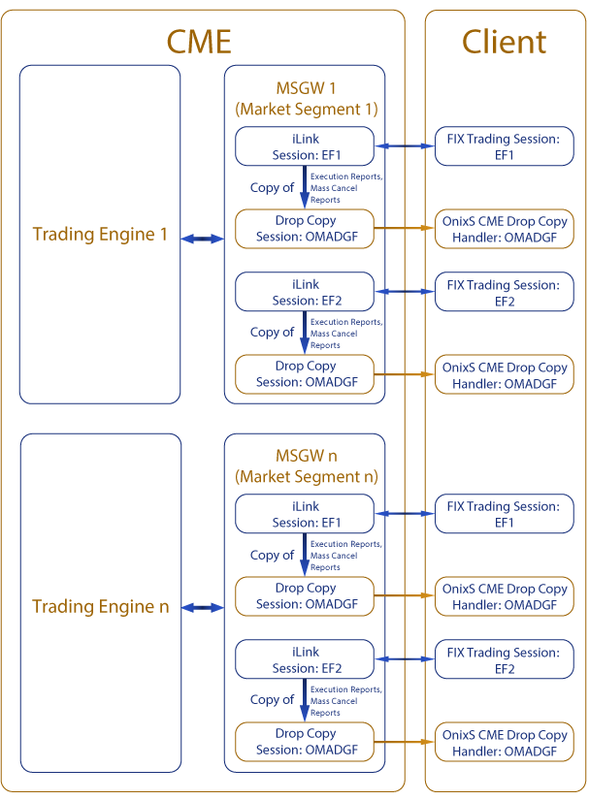 The OnixS directConnect: CME FIX iLink Drop Copy solution supports the CME Drop Copy Service for iLink that sends carbon copies of iLink execution reports, heartbeats and acknowledgement, and trade bust messages for one or many source sessions through a FIX protocol-based messaging interface. CME Drop Copy AutoCert+ certified. Both Convenience Gateway and Market Segment Gateway source sessions are supported.